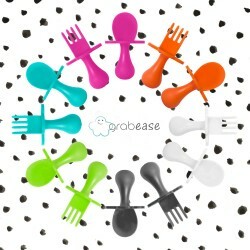 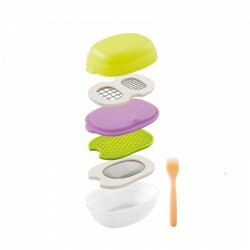 The On-the-Go Feeding Spoon Set makes on-the-go feeding easy and less messy. 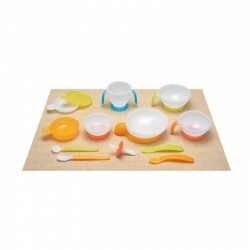 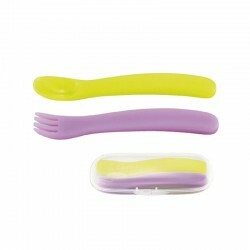 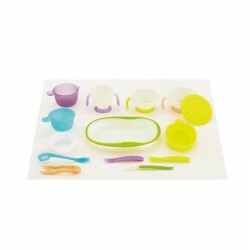 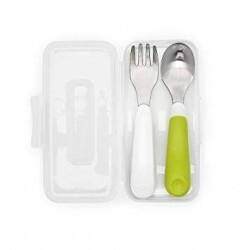 Set includes a thoughtfully designed Travel Case and Feeding Spoon. 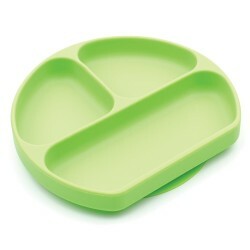 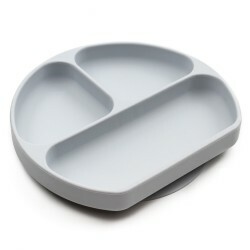 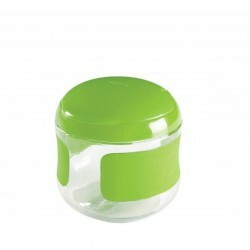 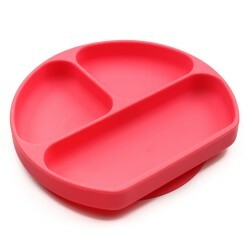 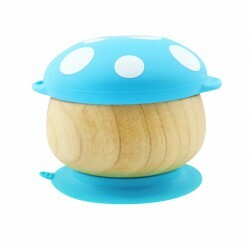 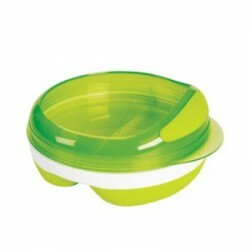 – Compact case fits easily into bags or the OXO TOT Roll up Bib for on-the-go meals. 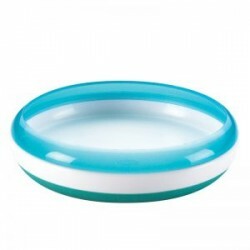 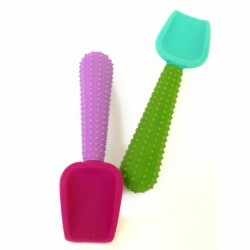 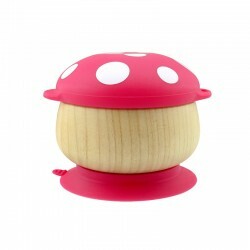 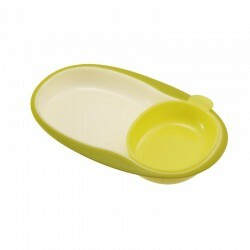 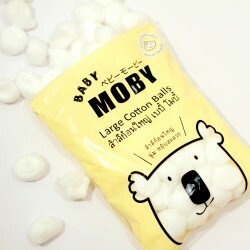 – Silicone Spoon is soft on baby’s mouth and gums and effective for scraping food from bowls or messy faces. 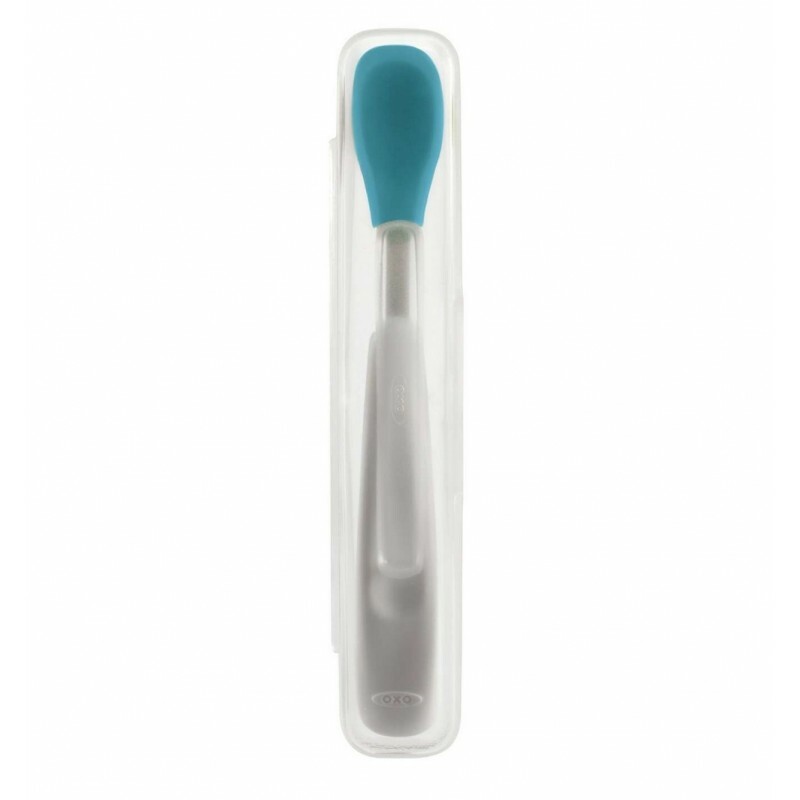 – Shallow Spoon head prevents feeding too much at once. 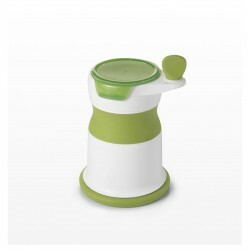 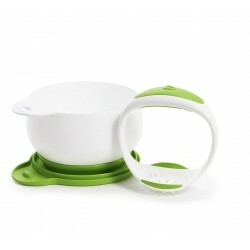 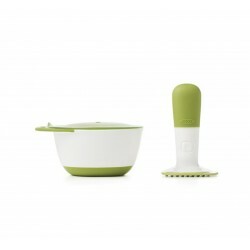 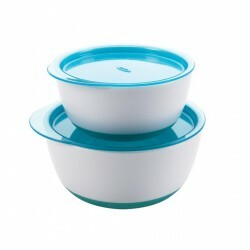 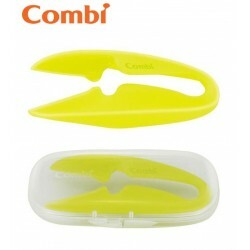 – Contoured handle is angled for easy feeding.